The Timex T5K337 men’s ironman 50-lap sleek watch combines stylish design and top functionality to meet the needs of active people. This designed with triathlon sportsmen in mind watch features a 100 hour chronograph with training log that stores workout by date, with best lap, average lap and total segment time. It also offers a 99 lap counter, a 50 lap memory recall and 2 interval times settable for up to 24 hours. Features such as 3 alarms, 2 time zones and built-in setting reminders make your life much easier whereas forward/backward setting ensures an ease of use. 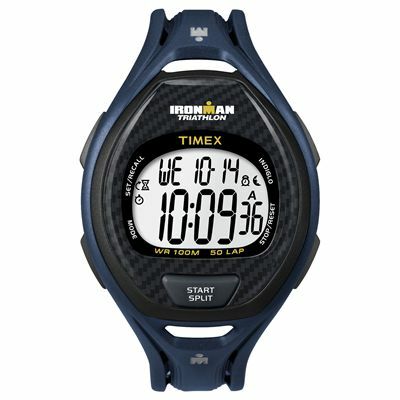 for submitting product review about Timex T5K337 Mens Ironman 50-Lap Sleek Watch.